NATO’s Patriot anti-ballistic missile defense system – has arrived in Turkey. One of the greatest nightmares recently protested by Iran and Syria – a shipment of NATO’s Patriot anti-ballistic missile defense system – has arrived in Turkey. The Suecia Seaways, sailing under the flag of Germany, arrived Monday in the port of Iskenderun less than a day after the Netherlands-registered Louise Russ vessel pulled into port bearing missile kits as well. On Saturday, a contingent of some 240 German troops also arrived, part of a NATO team to be deployed at the Turkish-Syrian border as part of a mission to ensure the Syrian civil war does not continue to spill over into its neighbor’s backyard. Turkey, a member of the NATO, the North Atlantic Treaty Organization, will also receive two additional Patriot missile batteries from the United States and two more from the Netherlands, all four to be deployed along the southern border region. The reason for the deployment has to do with the mortar and missile fire that Turkey has absorbed over the past year as Syria’s civil war escalated, and as President Bashar al-Assad has grown increasingly desperate in his attempt to reassert control over the regions slipping from his grasp. As mortar shells landed on Turkish soil, some causing considerable damage, Ankara began firing back across the border in retaliation. 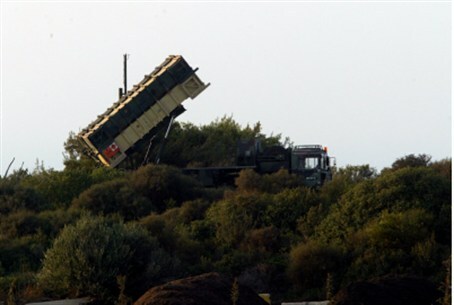 Fears of an escalation in hostilities with its former ally prompted Turkey to request deployment of the Patriot missile batteries to intercept the fire instead. Nevertheless, both Iran and Damascus have vehemently opposed the installation of the Patriot batteries. Iran in particular has said that it views the missile installations in an extremely negative light, despite the fact that the system is an anti-missile defense system, rather than an offensive weapon. The deployment is expected to remain for one year.